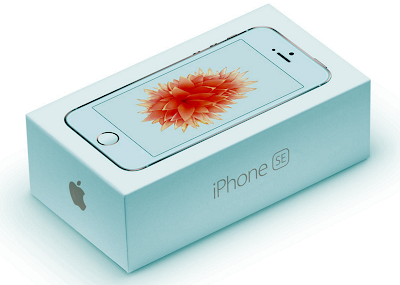 Un Official iPhone SE User Guide Manual Tutorial - iPhone SE Tutorial : How to Transfer Old Contents to iPhone SE, iPhone new program recycling an Apple product should be as easy as using one. The Apple Renew program lets you recycle your device at an Apple Store or online, make sure it’s recycled responsibly or given a chance to be used again. You can use iCloud or iTunes to transfer content from your current iPhone, iPad, or iPod touch to another device. If you have an Apple Watch and you're about to move content to a new iPhone, you need to unpair your watch from your current iPhone first. Unpairing automatically backs up your Apple Watch. Now you're ready to set up your new iPhone. After that, you'll pair your Apple Watch with your new iPhone. To move content to a new iOS device, you need an iCloud or iTunes backup of your current iOS device. If you aren't sure whether to use iCloud or iTunes, learn about both to decide which method is best for you. Back up iPhone SE or your current device using iCloud. Then you can transfer the backup to your new device. If your new device needs a different kind of SIM card than what you have, or if you aren't sure, contact your carrier. Turn on your new device. A "Hello" screen should appear. If you've finished setting up your new device already, learn what to do. Swipe left to right on the "Hello" screen. Follow steps until you see the Wi-Fi screen. Choose a backup. Make sure it's the right one by looking at the date and size of each. After you choose, the transfer starts. If you've purchased iTunes or App Store content using multiple Apple IDs, you'll be asked to sign in to each. If you can’t remember the passwords, you can skip this step by tapping Don't have an Apple ID or forgot it. If you have an Apple Watch, learn how to pair it with your new iPhone. You'll be able to restore your watch from a backup. If you normally use iTunes to sync content, you can also connect your device to your computer and use iTunes to sync any additional content. If you haven't set up iCloud Keychain, you might be asked to enter passwords for email, social media accounts, and other apps. Back up your current device using iTunes. Then you can transfer the backup to your new device. If you don't encrypt your iTunes backup, Health and Activity data from your iOS device or Apple Watch won't be saved. Open iTunes and make sure you have the latest version. Save content that you downloaded from the iTunes Store or App Store: Click File > Devices > Transfer Purchases. Then wait for the transfer to finish. If you want to save Health and Activity data from your iOS device or Apple Watch, you’ll need to encrypt your backup: Select the box called Encrypt [device] backup and make a memorable password. If you don't need to save Health and Activity data, you can make a backup that isn't encrypted. Just click Back Up Now. After the process completes, make sure that your backup finished successfully in iTunes Preferences > Devices. You should see the name of your device, along with the date and time that iTunes created the backup. If you encrypted your backup, you should also see beside the name of your device. Then transfer your iTunes backup to a new device. Swipe left to right on the "Hello" screen and follow steps until you see the Wi-Fi screen. Connect your iOS device to the computer that you stored your iTunes backup on. On the Wi-Fi screen on your iOS device, tap Connect to iTunes. Follow onscreen steps until you see the Apps & Data screen, then tap Restore from iTunes Backup > next. Choose a backup. Make sure it's the right one by looking at the date and size of each. After you choose, the transfer starts. If you're restoring from an encrypted backup, enter the password when asked. Wait for the process to complete. Then finish the remaining setup steps and sync your other content. If you have an Apple Watch, learn how to pair it with your iPhone. You'll be able to restore your watch from a backup. Keep your device connected to your computer and use iTunes to sync any content that wasn't in the backup. If possible, keep your device connected to Wi-Fi and plugged in to power until your cloud content downloads to your device. Cloud content includes anything stored in the cloud instead of your backup, like photos and music. This content will download automatically in the background. Depending on the amount of content, this could take a few hours or days to finish. To transfer a backup to a device you've already set up, you need to erase the device: Tap Settings > General > Reset > Erase All Content and Settings. This will erase any data that's currently on your device. After you've erased it, your device will restart and you'll see the "Hello" screen. Now you can transfer a backup to your device. Learn more about iOS backups. If restoring from a backup requires a newer version of iOS, get help.